PacFed - A Leader in Employee Benefits | Understanding Diabetes: Are You at Risk? Understanding Diabetes: Are You at Risk? 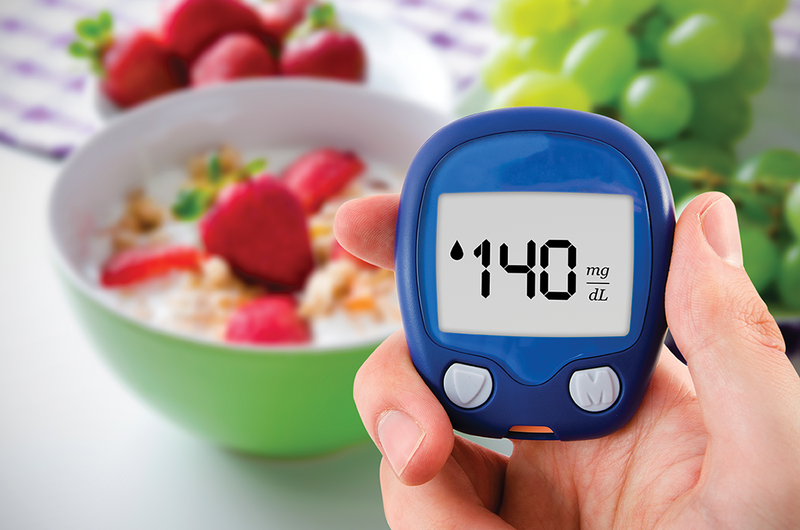 16 May Understanding Diabetes: Are You at Risk? Are you concerned about your health or the health of a loved one? Early detection and treatment of diabetes can decrease the risk of developing serious health conditions. Here’s what you need to know about the causes, symptoms and prevention of diabetes. When you eat, food is broken down into small molecules in the digestive system. Carbohydrates are broken down into glucose (sugar) molecules, which are small enough to be absorbed from the digestive system into the bloodstream. Glucose provides energy for every cell in the body. People with type 1 diabetes do not have cells in the pancreas that produce insulin, a chemical that regulates glucose in the blood. Unregulated glucose can severely damage organs and blood vessels. These people are usually not overweight and require insulin treatments for life. In most cases of type 1 diabetes, people need to inherit risk factors from both parents. People with type 2 diabetes have cells in the pancreas that produce insulin, but their bodies have become resistant to it. Over time, the pancreas may stop functioning and people with type 2 diabetes may require insulin doses. About 85 percent of people with type 2 diabetes are overweight. Type 2 diabetes has a stronger link to family history and lineage than type 1 diabetes. Lifestyle also influences the development of type 2 diabetes. However, studies show that it is possible to delay or prevent type 2 diabetes. According to the American Diabetes Association (www.diabetes.org), in 2015 some 30.3 million Americans, or 9 percent of the population, had diabetes. Of these individuals, 7.2 million were undiagnosed. In addition, 1.5 million Americans are diagnosed with the disease every year. people, early treatment can actually return blood glucose levels to normal range. Research shows that you can lower your risk for type 2 diabetes by 58 percent by losing 7 percent of your body weight and exercising moderately (such as brisk walking) for 30 minutes a day, five days a week. Improve your eating habits and exercise more so your body maintains stable blood sugar levels. Lose weight. Even 10-15 pounds can make a difference in your body’s ability to distribute glucose. Manage your stress and sleep. Too little sleep and high anxiety can influence your body’s ability to create insulin. Diabetes is not a choice for the millions of Americans who live with or are at risk of the disease. Get the facts about diabetes and learn how you can dispel common myths. Myth: If you are overweight or obese, you will eventually get type 2 diabetes. Fact: Being overweight is a risk factor for developing this disease, but other risk factors such as family history, ethnicity and age also play a role. Most overweight people never develop type 2 diabetes, and many people with type 2 diabetes are at a normal weight or only moderately overweight. Fact: While research has shown that drinking sugary drinks is linked to type 2 diabetes, the answer is not this simple. Type 1 diabetes is caused by genetics and unknown factors that trigger the onset of the disease, while type 2 diabetes is caused by genetics and lifestyle factors. However, consuming sugar can cause weight gain, which can increase one’s risk of diabetes. Fact: Diabetes causes more deaths a year than breast cancer and AIDS combined. In fact, having diabetes nearly doubles your chance of having a heart attack. The good news is that there are ways to control can reduce your risks for diabetes complications. Fact: A healthy meal plan for people with diabetes is generally the same as a healthy eating for anyone. This means having a diet that is low in saturated and trans fat, salt and sugar, with meals based on lean protein, non-starchy vegetables, whole grains, healthy fats and fruit. Myth: If you have type 2 diabetes and must use insulin, you’re failing to take care of yourself properly. Fact: For most people, type 2 diabetes is a progressive disease. While many people can keep their blood glucose at a healthy level with oral medications when first diagnosed, this can change over time as the body produces less and less insulin. Clearly, early detection of diabetes can decrease the risk of serious health complications. There are several ways to diagnose diabetes and testing should be conducted in a health care setting, such as your doctor’s office or a lab. Please, contact your doctor for more information and advice about diabetes prevention, diagnosis and management. Pacific Federal (pacfed.com) is a subsidiary of Zenith American Solutions (zenith-american.com).